One of our core competencies is the ability to develop creative solutions to the problems that our clients face. These issues can be complex and multifaceted, but with some critical thinking and a little bit of imagination, we’re capable of providing innovative solutions that allow businesses to excel. When our friends at Routematch needed some help, they knew who to come to. Routematch specializes in developing software for municipalities that want to increase the accessibility and efficiency of their transit system, connecting communities and individuals with opportunities. Due to the nature of their business, they need a wide array of customer service options like educational materials and phone support. In the past, Routematch had utilized Salesforce’s Case Management services, MadCap’s Flare for product documentation, EduBrite’s e-learning capabilities, and WordPress for marketing; our challenge was to bring them all together. Our solution needed to not only support their customers, but to prevent their competitors from accessing their data, all while remaining affordable. The most obvious solution would have been to build a private Salesforce Community, allowing Routematch to have full customer service capabilities quickly and easily; the only problem was the cost. Salesforce subscription fees alone would have been in excess of $250,000 annually, only to allow their customers to occasionally submit support requests. Instead, we developed a solution that brought product documentation and e-learning together by building a private WordPress portal, linking to a Salesforce Community only when a support ticket was entered. By integrating elearning, Routematch can effectively train and teach their customers online with features like videos, online tests, and all of the latest SCORM features. We integrated MadCap Flare into WordPress allowing Routematch to manage both the web and print documentation, eliminating wasted time and duplicated efforts. 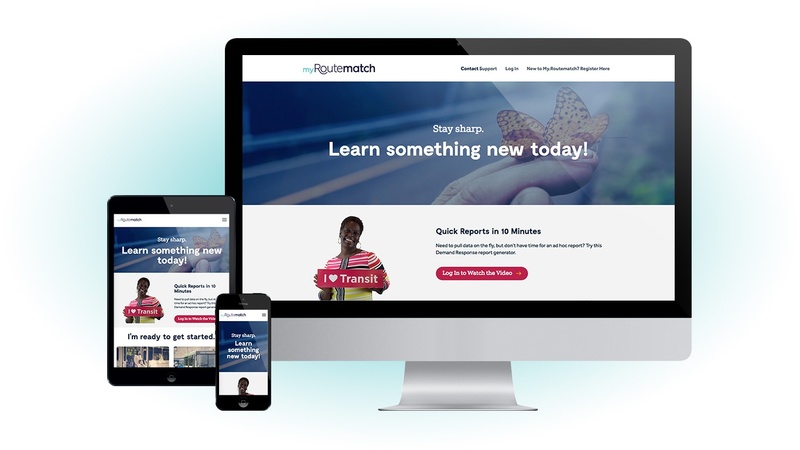 By utilizing the most efficient and intuitive software, we helped Routematch give their customers and employees the inside scoop on the latest news and events. With 24/7 technical support, case management, and troubleshooting, our client can always provide the assistance they need to make their customers happy. When you’re able to step outside of the box and get creative, you can uncover efficient solutions that are worth investing in. That’s what we’re all about at Creative Mischief; using creativity to meet challenges, and developing solutions that innovate and inspire. If you’re ready to see the ways that your business can improve, reach out, and let’s find some creative solutions that will empower your business to succeed. Routematch now has a more seamless and improved customer service experience — one that better supports their customer’s needs and empowers the Routematch brand and marketing team into the future.